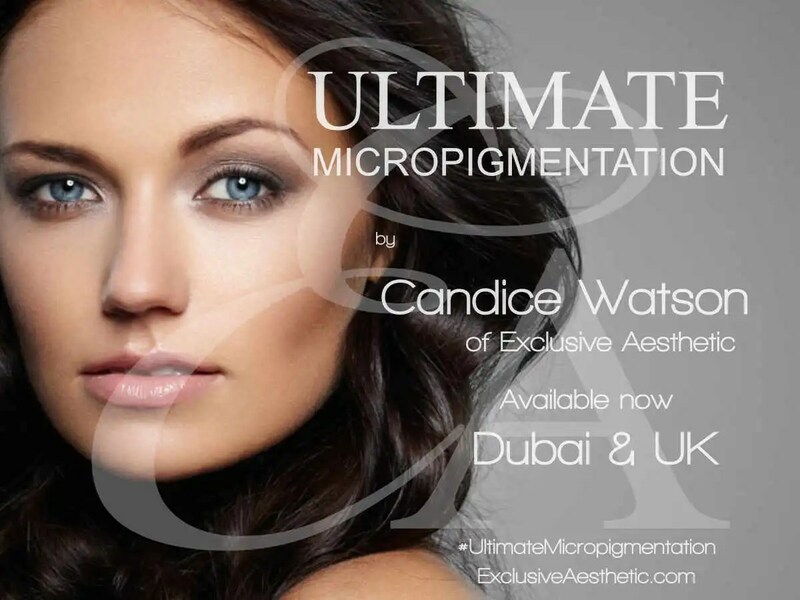 Semi Permanent Makeup (SPMU) by Candice Watson is performed to the highest level from LCAS Dubai Healthcare City. Wake up with stunning smudge free make up every day with results lasting for 2 – 3 years. Semi Permanent Makeup is a more permanent answer to applying make up every day. Pigments are implanted into the upper layers of the skin to enhance, colour and redefine the eyebrows, eyelids and lips. A variety of looks are available for both cosmetic and corrective results. Semi permanent makeup is very similar to a tattoo however specially designed machines and equipment are used to achieve the finest details. Super fine needles are used to insert pharmaceutical grade pigments which are mixed to the individual clients requirements. Multiple sessions are required for each procedure to be implanted in the skin correctly and once completed the area should be perfect and smudge free for up to 3 years. We recommend a top up every 12 – 18 months to keep the pigment looking fresh especially in the extreme heat of the Middle East. When performing semi permanent makeup to the delicate areas of the face it is imperative the highest standards are met. Removals are possible but costly however it is far easier to choose the best specialist available ensuring the best results. We advise you to research potential Semi Permanent Makeup specialists thoroughly and choose the best rather than the cheapest and latest deal. All our micropigmentation procedures are approved by the Dubai Healthcare City (DHCC) and follow the latest international health and safety guidelines. To make an appointment please call LCAS on +971 375 2393. Appointments are 1 hour and consultations are 15 minutes. For more information please email info@exclusivebeauty.ae. Candice Watson performs treatments to the highest level. Candice has almost 30 years experience in the beauty industry in the UK, USA, Europe and over 8 years in the Middle East. Candice is a true micropigmentation expert performing semi permanent makeup and medical micropigmentation to the highest industry standards.